Hurricane Irma skirted north of the Dominican Republic early Thursday as the Category 5 storm set its sights on south Florida after leaving devastation in its wake in the Caribbean, killing 10 so far, as Florida residents panic to leave where they can and stock up essentials. Hurricane Irma hammered a string of northeast Caribbean islands, thrashing them with rain and winds of up to 180 mph, and leaving at least nine people dead. The hurricane battered several islands, including Barbuda, St. Martin and the British Virgin Islands, causing widespread devastation. Barbuda is barely inhabitable with nearly all its buildings damaged, the Prime Minister of Antigua and Barbuda said. Irma’s eye passed directly over Barbuda on Wednesday, Barbuda, one of two major islands in the nation of Antigua and Barbuda, took a major hit, with a devastating 95% of its buildings damaged. Puerto Rico was spared a direct hit, but it still got lashed by strong winds and torrential rains, leading to hundreds of thousands without power. The eye of one of the strongest storms recorded in the Atlantic is making its way toward a possibly devastating hit on Florida over the weekend. On Thursday morning, Irma was moving off the northern coast of the Dominican Republic and was about 95 miles north of Punta Cana. Hurricane Irma has killed at least ten people and 21 more injured on St. Martin officials said. Six died on the French side of the island of St. Martin and two others on St. Barthélemy, according to French officials. 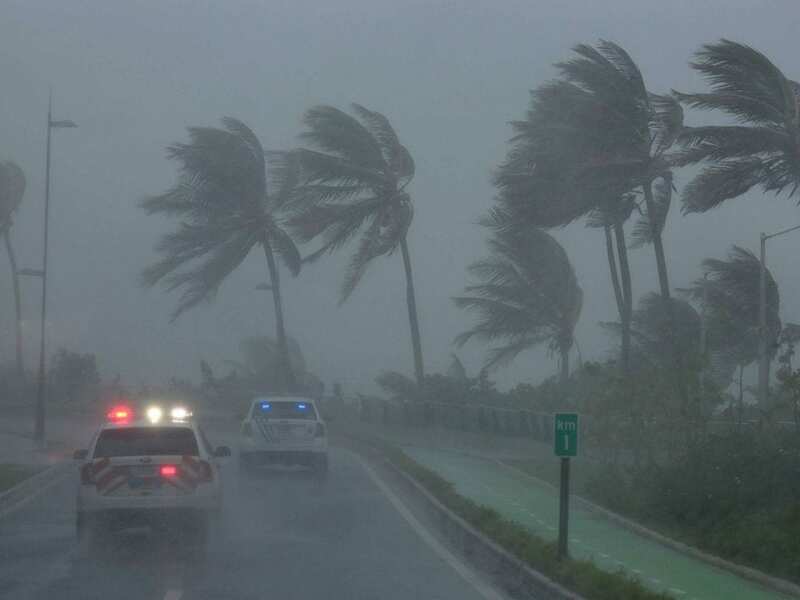 An young child in Barbuda also died in the storm. Irma is a category five hurricane, the highest possible level. A hurricane warning is in effect for some areas in the Dominican Republic, Haiti, the Bahamas and the Turks and Caicos Islands. The National Hurricane Center has posted what it says are the key messages people should know about Storm Irma. They forecast tropical storm force winds will arrive in south Florida and the Keys on Saturday. They say the threat of the “potentially catastrophic” hurricane impacting Florida over the weekend is increasing, and hurricane watches will probably be issued for “parts of” the state today. Residents of the United States are gearing up for the storm, stocking up food and making as many preparations as possible before the weekend. Mandatory evacuations have been delivered in two Florida counties: Monroe County and Miami-Dade County’s Zones A and B. Monroe covers the Florida Keys, while Miami-Dade’s Zones A and B include Miami Beach and Key Biscayne. Weather Update as the Temperature Drops to -12 Outside – Travel Chaos!! !